The firearms training community has lacked a nationwide training program specifically directed at training the new and inexperienced shooter in the defensive use of the most common platforms of firearms – handguns, shotguns and carbines. Also lacking were national classes covering in-depth non firearms subjects, OC Spray, Response to an Active Threat, Home and Vehicle safety, House of Worship Safety, Business Place safety, Vacation Safety and more. The SAFTD has a SAFE Program to teach situational awareness, defensive strategies and tactics to keep you safe in your daily life. Beginning in early 2014 experienced instructor trainers from throughout the country were recruited to act as the core of SAFTD. Today the SAFTD has over 65 student and instructor classes and is offering more every year. 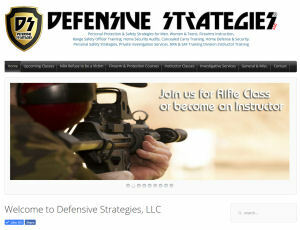 All of the courses offered are presented with the defensive use of the individual firearm in mind at different levels for a smooth transition to more advanced defensive techniques. 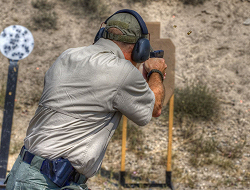 While familiar foundational material is presented, additional defensive topics and activities are included such as firearm selection, holsters, use of force, discussions about legal issues, use of cover and concealment, the defensive stance, methods of aiming your defensive firearm, how your body will react to a defensive situation and a broad range of incremental live fire drills to build the student’s shooting skill level. 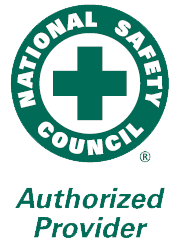 The SAFTD has also partnered with the NSC (National Safety Council) to bring high quality CRP/AED and First Aid to our students. The SAFTD offers a FAST class for the novice shooter and various levels for the more advanced shooter in handgun, shotgun, carbine and precision rifle. Interested in joining the SAF Training Division as an Instructor? The SAFTD Instructor level courses are designed to teach the experienced shooter/instructor, how to present the SAFTD courses to the general public and are not designed to increase skills of the candidates, all instructor candidates must already possess the skills necessary in the discipline they are taking. SAFTD MOI (Method of Instruction) as a basis for instructional methods and techniques. Range Officer encompasses the proper running of the range portions of the class and the best practices for achieving the maximum amount of learning from the students. Instructor Candidates must pass the student level class first with a 90% or higher on all tests before attending the instructor level class. This includes the FBI pistol Qualification. SAFTD Instructors must also be CPR/AED and First Aid certified. Instructor Credit Transfer from other organizations. 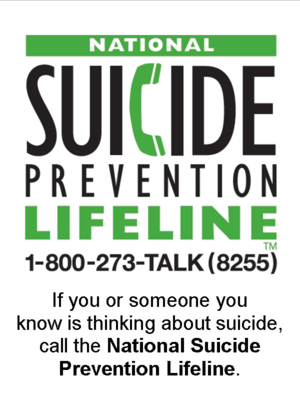 There is no credit transfer from other organizations available. There are to many differences in training and training philosophy. This also becomes a legal and liability concern. There are many benefits to becoming an SAF Training Division Supporter and we've listed just a few below. By supporting the SAF Training Division you are helping to get our training programs to the public all over the country and rural America. Your membership helps the SAF Training Division expand into new communities. Our Supporters recognize that promoting safe and effective skill development for the civilian is critical to the reputation of all in the industry. For more information click here! By sponsoring the SAF Training Division, you are making an investment in the future of the training and education of the responsibly armed citizen. By supporting the SAF Training Division you are helping to get our training programs to the public all over the country and rural America. Your donations help the SAF Training Division expand into new communities. The SAF Training Division Board and Staff are highly trained professionals with a plethora of expertise. 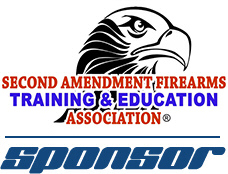 Our sponsors recognize that promoting safe and effective skill development for the civilian is critical to the reputation of all in the industry. We have some very beneficial and high exposure programs for our sponsors that will put you front and center to millions of instructors and students all over the country. 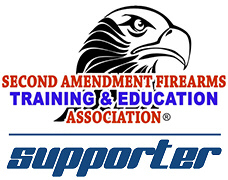 What better way to show your dedication and support to the shooting sports than by sponsoring the SAF Training Division. For more information click here! Interested in joining the SAF Training Division as an Instructor? 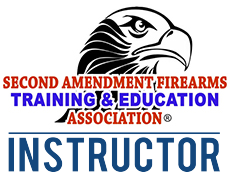 The SAFTD Instructor level courses are designed to teach the experienced shooter/instructor, how to present the SAFTD courses to the general public using the SAFTD MOI as a basis for instructional methods and techniques. This course also encompasses the proper running of the range portions of the class and the best practices for achieving the maximum amount of learning from the students. The SAFTD Instructor level courses are designed to teach the instructor candidates how to teach the student level course and are not designed to increase skills of the candidates, all instructor candidates must already posses the skills necessary in the discipline they are taking. Instructor Credit Transfer from all other organizations (Civ, LE, Mil) - There is no credit transfer from other organizations available. There are to many differences in training and training philosophy. This also becomes a legal and liability concern. Stay up to date with everything that's happening at the SAF Training Division. We'll only send you one update per month.